With a huge market for marijuana world wide, marijuana cultivation has become a very profitable business. In some countries cultivation of marijuana is legal for personal or medical use. While Latin American countries are major producers of this drug, other countries like Canada are too joining the fray. After the legalization of marijuana use for medical purposes in many countries like Germany and Canada, the demand for marijuana has increased to a great extent. To meet the increased demand, marijuana is being cultivated extensively across many countries. There are various ways of cultivating marijuana. 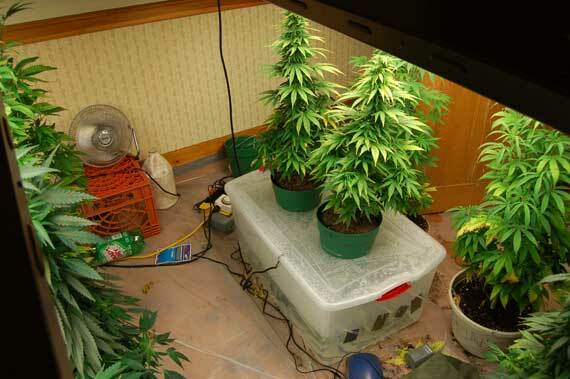 Marijuana can be cultivated both indoors and outdoors. One way to grow marijuana that is fast gaining popularity is hydroponic growing of marijuana. Hydroponic marijuana is popular because they are easier and faster to grow and the THC content is high. Hydroponic growing of marijuana means to grow marijuana without soil. In this method you plant the seeds in water which is mixed with nutrients .To grow hydroponic marijuana ,you must get hold of the seeds. Feminized marijuana seeds are highly intoxicating and so are in great demand. If you use feminized seeds to grow hydroponic marijuana, you will get highly potent marijuana. To grow marijuana in a hydroponic way one must first have the knowledge of various marijuana hydroponic systems. There are many types of hydroponic systems- Wick system ,reservoir system ,drip system ,N.F.T ( Nutrient Film Technique) and Aeroponics. Wick system and reservoir system are considered better because they are simple and does not need an active supply of water like pumps. They are the passive hydroponics methods. To grow hydroponic marijuana one must first germinate the seeds. Soak the seeds in a cup of warm water. The seeds will germinate in 12 hours to 8 days. After germination ,it is time ti plant the sprouts. Many people prefer using floral foams . Make holes in the foam and plants the marijuana plants. However they are expensive. You can also use rock wool. They are less expensive and can also be reused. To successfully grow hydroponic marijuana you must keep certain things in mind . These plants need constant monitoring and your attention. Make sure that there is a constant supply of electricity and the supply of water is good. Also keep it in mind that the temperature of the room should be 60 degree F. The room should be well ventilated so that the plants can breathe. Marijuana plants need certain amount of light everyday . When the plants are developing a root system , then the light should be available for 16 to 18 hours, when the root system develops these plants need 18 to 24 hours of light. However during the flowering stage lower the period to 12 hours a day. The entire cultivation period is of 4 months. For faster growth use Indica seeds. However the THC content in these seeds is low. To successfully grow potent plants remember to devote your time in tending the plants and follow the instructions carefully. At times you can also refer to standard botanical handbook for help regarding cultivation of weeds and learn relevant tips. However the most fundamental element that needs to be always kept in mind while farming marijuana is using the right kind of seeds. In essence it is the quality of the seeds that you use which determine your output. This entry was posted on Sunday, May 15th, 2011 at 21:52	and is filed under Growing Marijuana. You can follow any comments to this entry through the RSS 2.0 feed. You can leave a comment, or trackback from your own site. Very useful article indeed.Please let me know what is long name of short name THC?